Apparently, this came about after Lord Krisha was falsely accused of stealing a valuable jewel. Sage Narada said that Krishna must've seen the moon on Bhadrapada Shukla Chaturthi (the occasion that Ganesh Chaturthi falls on) and was cursed because of it. Furthermore, anyone who saw the moon then would be cursed in a similar way. 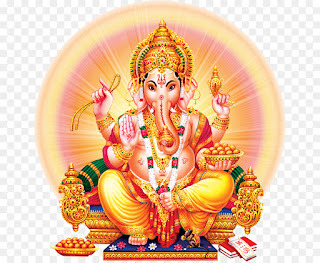 The idols of Lord Ganesh are worshiped every day, with an aarti in the evening. The largest Ganesh statues, on display to the public, are usually taken out and immersed in water on Anant Chaturdasi. However, many people who keep an idol in their homes carry out the immersion much before this. What is the Significance of Anant Chaturdasi? You may be wondering why the immersion of Ganeshi idols concludes on this day. Why is it special? In Sanskrit, Anant refers to eternal or infinite energy, or immortality. The day is actually devoted to the worship of Lord Anant, an incarnation of Lord Vishnu (the preserver and sustainer of life, also referred to as the supreme being). Chaturdasi means the "fourteenth". In this case, the occasion falls on the 14th day of the bright half of the moon during the month of Bhadrapada on the Hindu calendar.